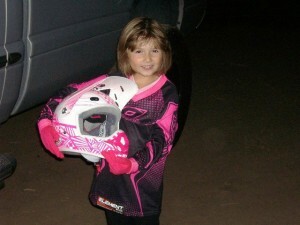 WSMX: Womens School of Motocross | 6 yr old donates entire contents of her piggy bank to Women’s MX! Home » News & Media Blog » 6 yr old donates entire contents of her piggy bank to Women’s MX! 6 yr old donates entire contents of her piggy bank to Women’s MX! Posted by Debbie Matthews | Comments Off on 6 yr old donates entire contents of her piggy bank to Women’s MX! Recently WMN Racing started a Donation Thread the “Fast Motocross Females” Fuel Fund to help WMX riders get to the AMA Nationals. The response has been heartwarming. Just last week WMN Racing received a donation from a 6 year old girl Kennedy Watkins, from Oakley, California. Kennedy upon hearing about the donation request, promptly went to her piggy back and handed over the full contents of $25 to her Dad, and instructed him to donate everything to support the WMX riders! Dad quietly slipped the contents back into her piggy bank and donated the requested amount for his daughter! © 2011-2017 DMSports-WSMX Inc. All Rights Reserved.